How do I get warranty and repair information? 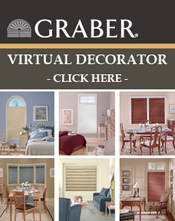 Please contact the Graber window treatment designer, decorator or dealer from whom you purchased your window treatment for warranty and repair information. You may also call Springs Window Fashions Customer Service at 1-800-221-6352, between 8:00 a.m. and 6:00 p.m., EST, or email windowfashions@springswindowfashions.com. To ensure prompt and accurate service, please have the information from the top rail of your blind or shade written down before calling. This gives our Customer Service Representatives the information they need to process your warranty claim.